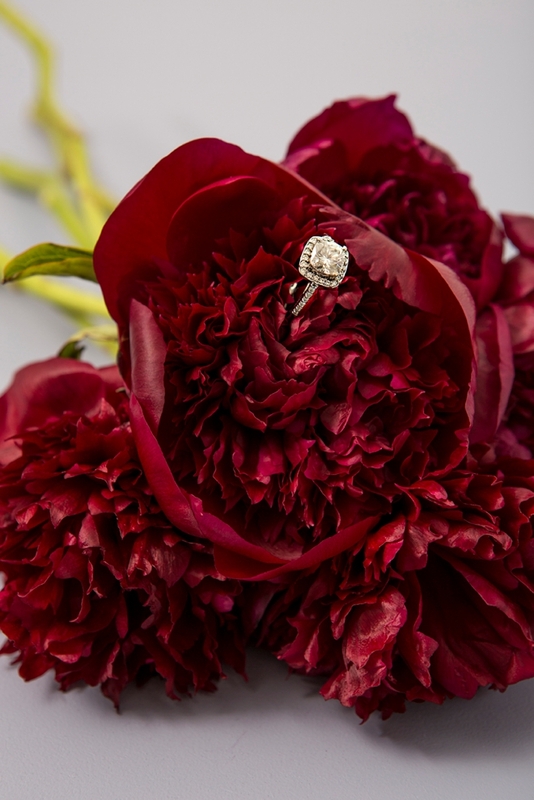 Everything You Need To Know About Using Peonies In Your Wedding! 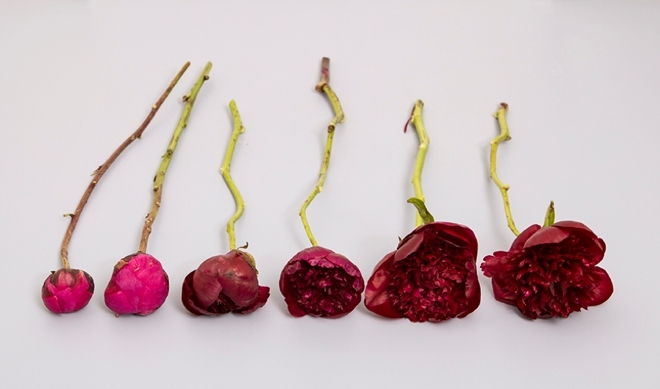 It’s finally that time of year, Peony Season (but read below for a shocker! 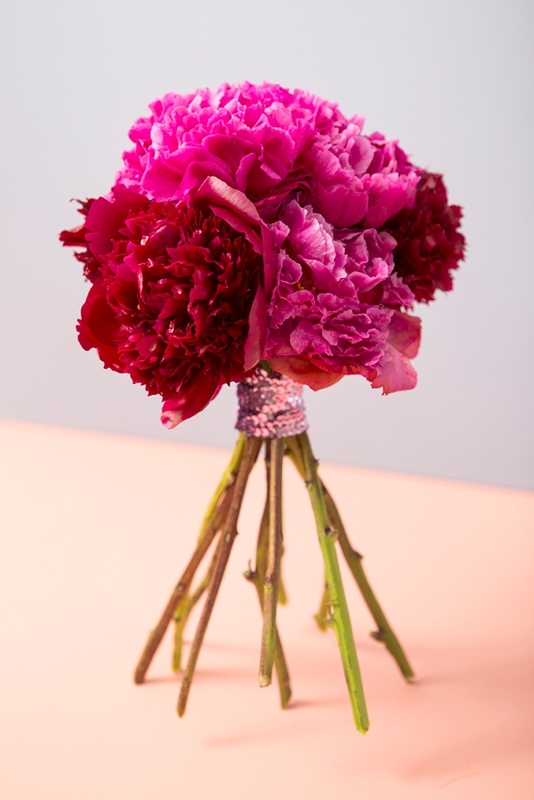 )… and so this month our FiftyFlowers Flower Power feature is all about The Perfect Peony! 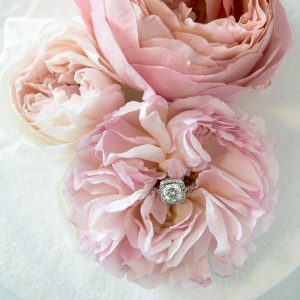 This stunning flower happens to be the most requested wedding flower ever… not that you didn’t know that already! They’re said to represent a happy life, marriage, and good health, which means they really are the perfect flower for your special wedding event. Each month we’re featuring a specific, popular wedding flower, sharing important tips and information that all DIY brides will find valuable if incorporating said blooms into their events. Whether you’re arranging your own bridal shower flowers or creating your own wedding bouquets, you’ll want to keep an eye out for these new posts! For those who might not know, FiftyFlowers is an online flower wholesaler who ships gorgeous flowers to your doorstep, straight from their partner farms. Their customer service is outstanding and I know that you’ll have an extraordinary experience with them, no matter if you’re ordering flowers for your entire wedding or just a few bunches for your bridal shower. You can shop their website just like you would a flower mart, even scheduling your delivery time with just a few clicks – it’s awesome. I absolutely love that at any time, no matter what shoot or event I need flowers for, I can visit their site, shop and the flowers magically arrive at my door. Basically, they are the Nordstrom of online flower sales! 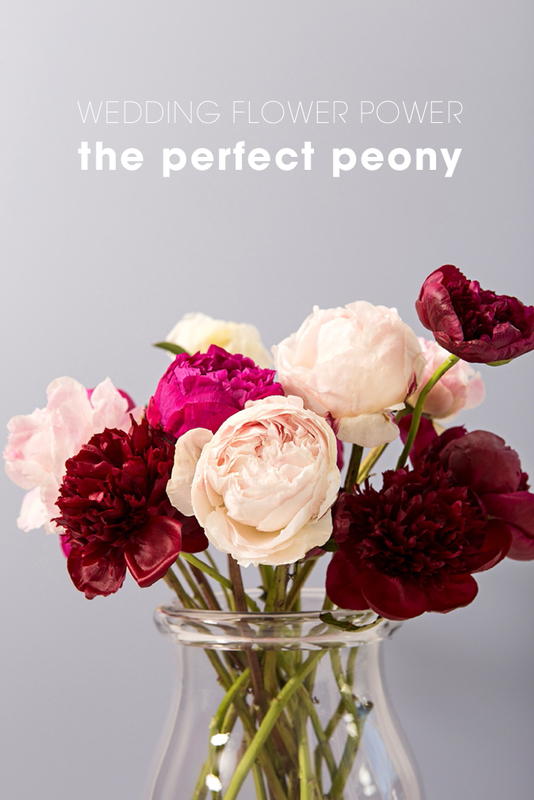 The most common misconception about Peonies is that they’re seasonal, with peak time being May and June, and while those two months provide the most variety at the best prices, FiftyFlowers is able to follow Peony seasons around the globe. They source their Peonies from Alaska, Oregon, Holland, Israel, and Chile, allowing them to offer Peonies almost year-round! Of course, Mother Nature has to oblige. 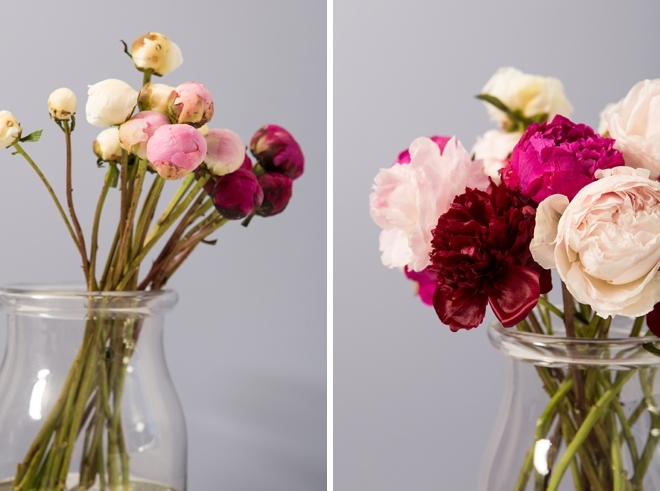 Here I’m featuring the Mixed Color Peonies, find all the varieties they offer here. 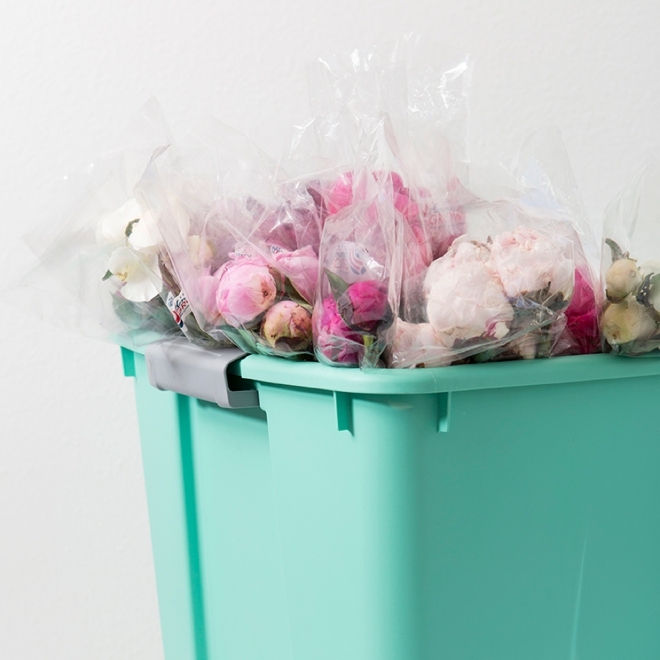 FLOWER PREP TIP: Storage bins make great “giant vases” to hold your flowers until you’re ready to work with them! Golf Ball: (picture on left) If your peonies arrive in a tight, closed bloom: Prep your containers with fresh, cool water. Remove all packaging and any bands holding the stems. Strip the stems free of the leaves that will touch the water to eliminate bacteria build up. With a pair of shears, cut two to three inches of the stems under running water and place in prepared water. Store the peonies in a cool, dark room. Refresh water every 24 hours. Cracking to Blooming: (picture on right) If your peonies arrive opening: DO NOT process the flowers. Place the peonies on their side in a floral cooler or refrigerator free of any fruits and vegetables. The morning prior to your event, prep containers with fresh cool water. Remove all packaging and any bands holding the stems. Strip the stems free of excessive leaves to eliminate bacteria build up. With a pair of shears, cut two to three inches of the stems under running water and place in prepared water. Store the flowers in a cool, dark room. Recommended Delivery Date: 2-3 days before your event, but varies by season. 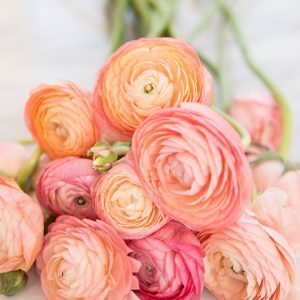 Ranunculus, anemones, and lisianthus are the most popular flowers to pair with Peonies while dusty miller and eucalyptus are the top leaf choices. 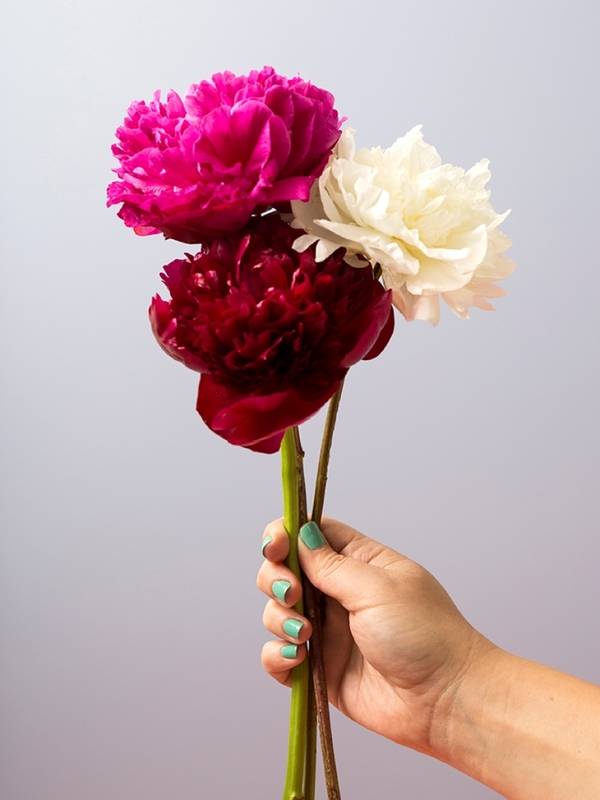 Because of their size, Peonies don’t make great boutonnieres, but they are fabulous for bouquets, centerpieces, cake decor and pretty much anywhere else you can imagine… and since they are so large you can get away with using fewer flowers no matter what the design. Their colors range from white through princess pink, to burgundy and coral, showing up in some of the most romantic shades possible. 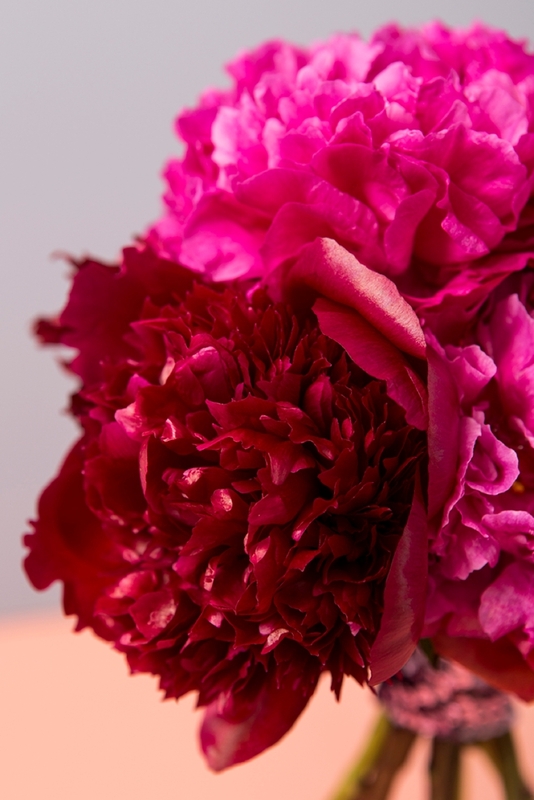 A terrific Peony alternative is the gorgeous garden rose! 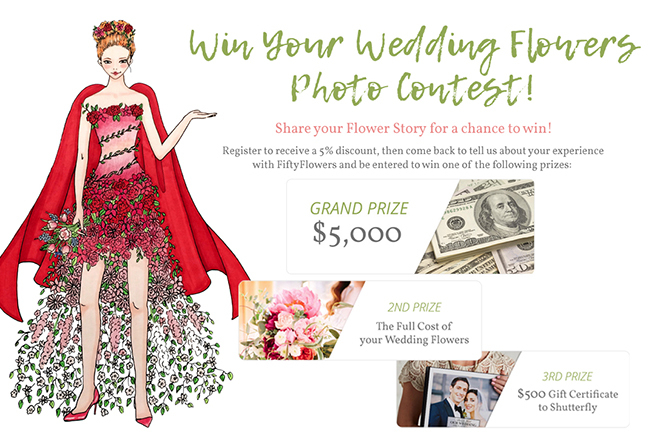 Fifty Flowers has an awesome contest going on this year that I just had to share! They want to hear about your unique wedding flower story! 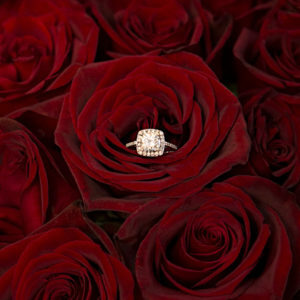 Everyone who signs up will get 5% OFF their flower order, then once married, you visit their site to share your flower story and you’ll be entered to win one of the 3 great prizes! From $5,000 cash to a $500 Shutterfly gift certificate. Story sharing ends December 15th, 2017! FiftyFlowers is the customer-centric, online destination for wholesale wedding flowers, shipped fresh from the farm straight to your door! Inspired by the DIY bride, we offer an extensive selection of fresh flowers, greenery, and floral accessories because we believe anyone can create their own wedding flowers.